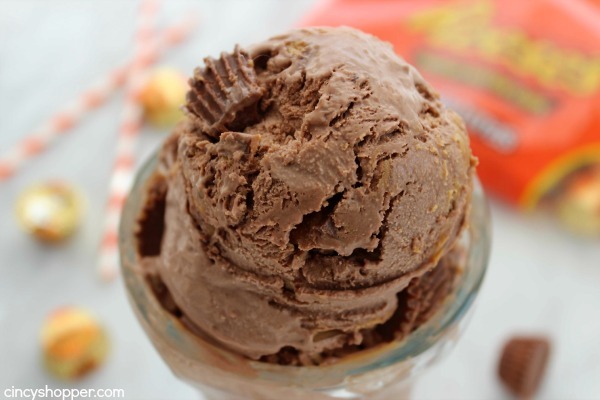 You will find chocolate, swirled peanut butter and Reese’s miniatures loaded into this Homemade No Churn Reese’s Peanut butter Ice Cream. 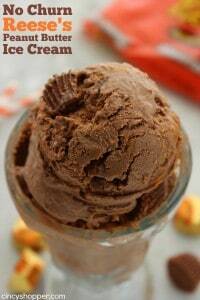 This stuff is a chocolate peanut butter lover’s dream cold treat. We are a chocolate and peanut butter loving family. I shared our love for peanut butter and chocolate with you yesterday when I posted out yummy No Bake Reese’s Peanut Butter Cheesecake Recipe. 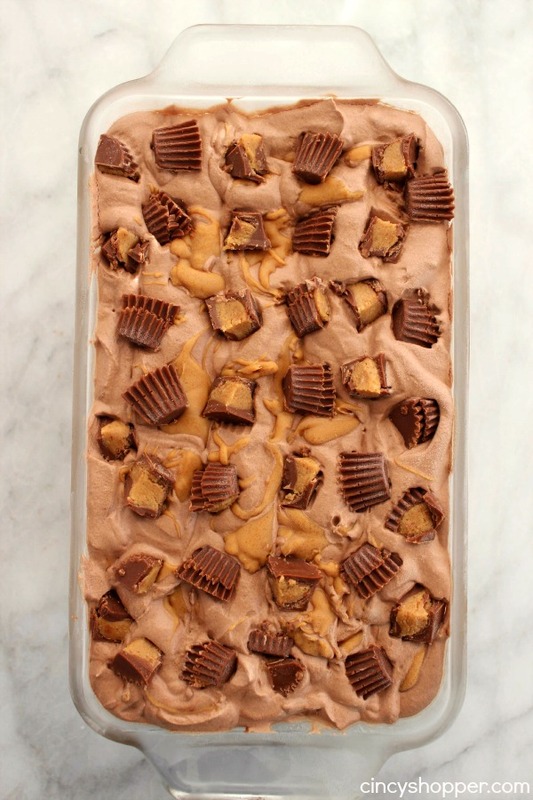 Reese’s cups combined with chocolate and peanut butter make for some over the top desserts. 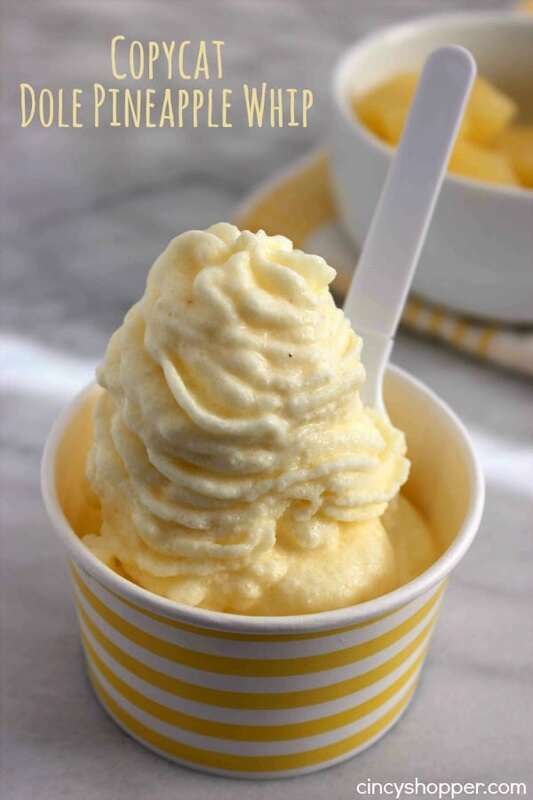 Making homemade no churn ice cream is so simple. I have the basic recipe memorized since it is so simple. After making our Oreo Cookie Ice Cream last week, I knew we were needing to try out some of our other favorite candies as a mix in. I set hubby on a mission to combine chocolate and peanut butter into an ice cream for all of us to enjoy for dessert. I knew he would deliver. 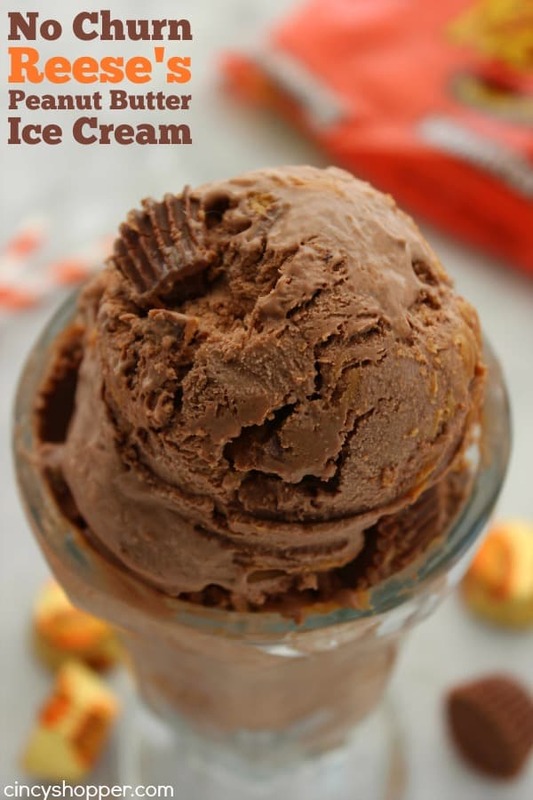 He started with a rich chocolate ice cream base, added in a yummy peanut butter filling that hardens up so nicely (just like you find in chocolate peanut butter ice cream) and then loaded it up with chopped Reese’s candy. YUM! This stuff is so delish. 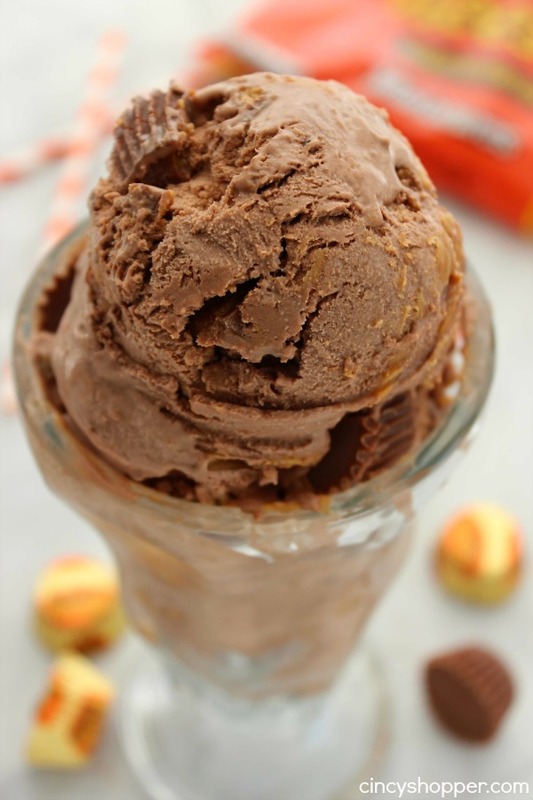 The ingredients needed to make this No Churn Reese’s Chocolate Peanut Butter Ice Cream are so simple. Just a few ingredients and a few minutes time and you will have this tasty treat in the freezer. I think the most difficult part was unwrapping all of the Reese’s Miniatures, ha ha. Place Reese’s in freezer for to minutes to harden. Add cocoa powder to sweetened condensed milk ans stir until dissolved. Heat peanut butter in microwave for 20 seconds to melt, then stir and set aside to cool. 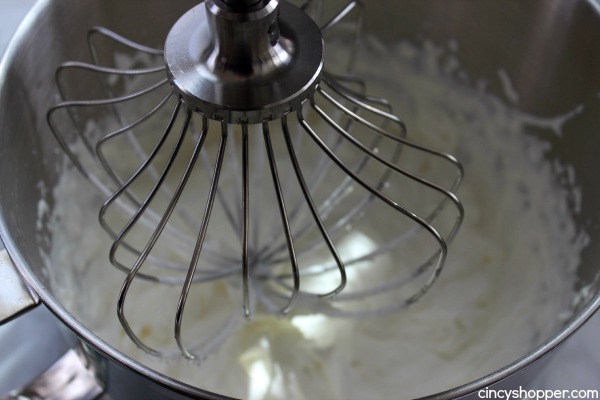 In a large bowl, whisk heavy cream until soft peaks form. 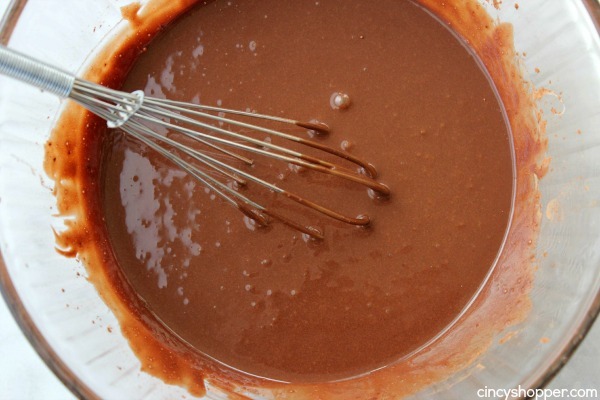 Fold in condensed milk mixture until blended. Unwrap and cut candies in quarters. Fold 2/3 of the candy into the mixture. 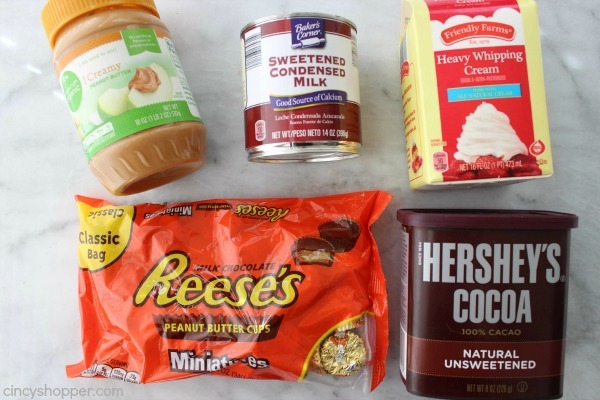 Spread 1/3 of this mixture into a loaf pan then drizzle with melted peanut butter. Repeat this for two more layers. 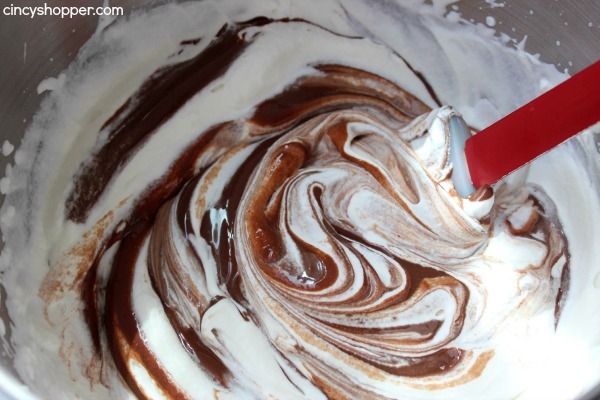 Take a knife and run through pan to swirl mixture. Top with remaining candy pieces. The chocolate was so rich and creamy! The peanut butter swirls and chunks were amazing! 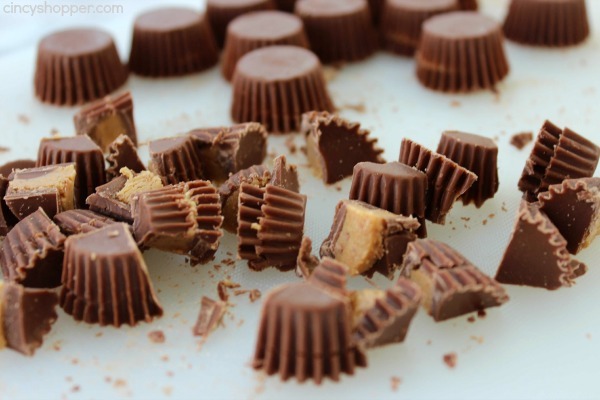 Then Reese’s Peanut Butter cups… Does it get any better than this? I have a large family (there are 7 of us). This stuff was gone in know time at all. The kiddos were actually trying to bribe each other for the other’s servings ha ha. Everyone rated this ice cream the best so far! Do you enjoy a bit too much ice cream during the summer months? I know we consume quite a bit, it’s a perfect summer treat. Place Reese's in freezer for to minutes to harden. O Hello! That is talking to me big time! Pinning for later! Thanks for sharing, visiting form Treasure Box Tuesday. Oh. My. Goodness. So pinning this bad boy! This WILL be made this summer! 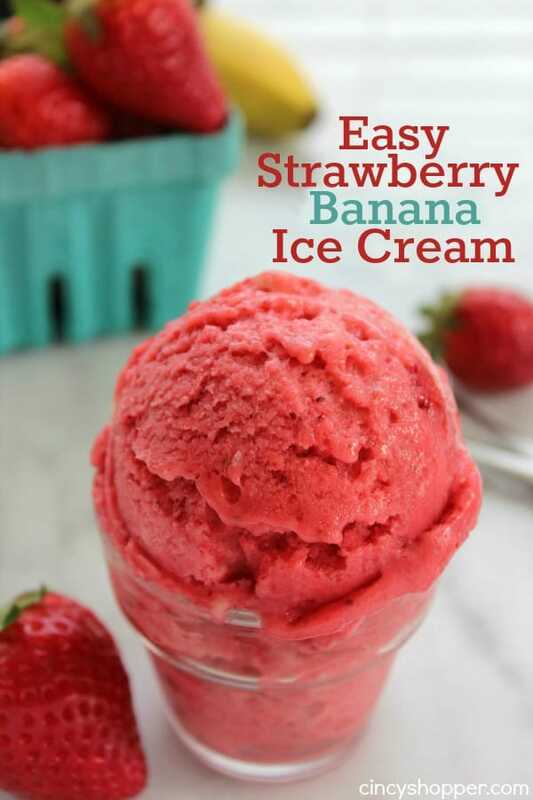 Thank you for posting a homemade recipe for the only ice cream I ever eat! This looks good! I need to try no-churn ice cream sometime! PINNED-my mouth is watering, this is just beyond delicious looking! Yummm! Saying hi from the wonderful Wednesday blog hop! OHHHH! 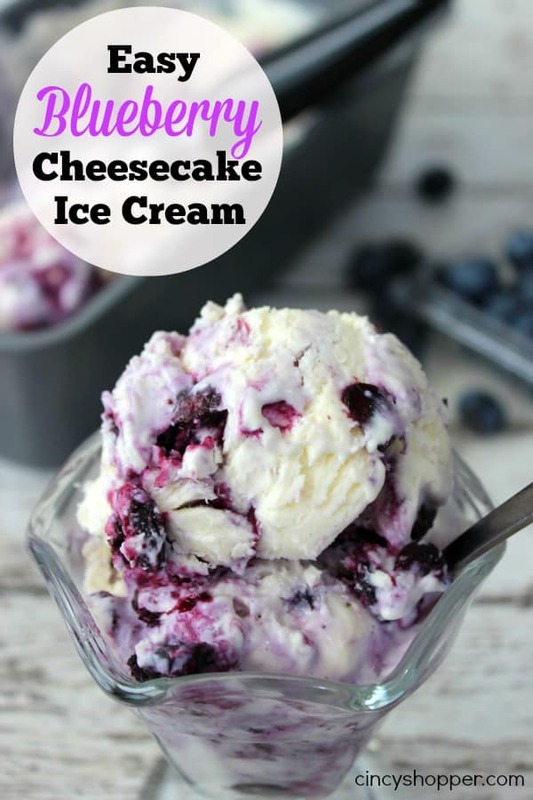 What a great looking ice cream….I have always wanted to make ice cream, but don’t have a ice cream machine, I had no idea you can make it this way. We would love for your to share with us at Party in Your PJs, our weekly link party. Oh man, this looks insanely good. 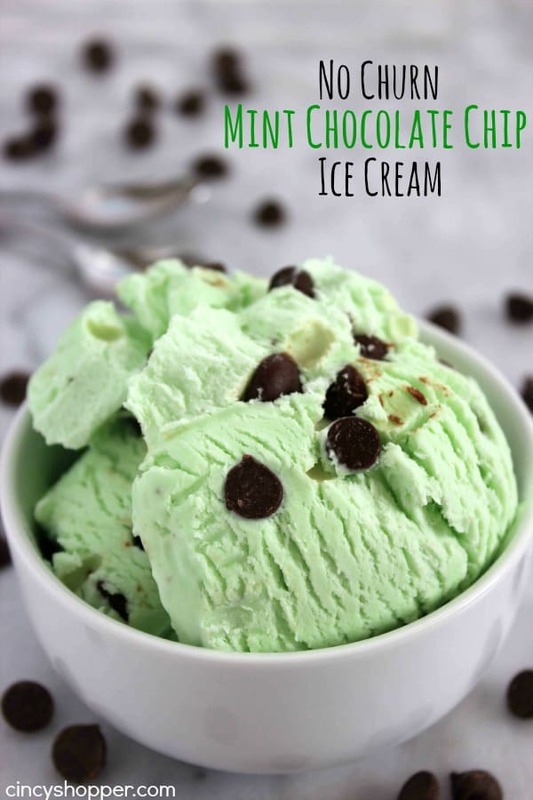 I’ve always been interested in trying to make no-churn ice cream, and I think you’ve inspired me! Thanks for sharing! This looks incredible! 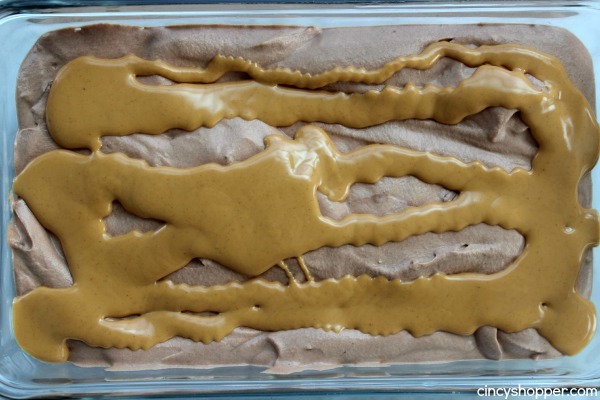 I used to love this chocolate peanut butter ice cream, the peanut butter was in thick veins like this, and have been unable to find something close, this is the perfect answer! Make my own! I am gluten free so the peanut butter cups are not something that I can have, but I could add chocolate and peanut butter chips or snickers! Thanks for the recipe! Pinning! Hiya, I found you thanks to Google search No-Churn Chocolate PB ice cream and I’m glad that I did. Your recipe (an a few others) look so easy that I can try, so I saved your recipe and URL to find my way back to your place to look at more of your DIY ice cream combos. Thanks for sharing! Made this tonight only used the unwrapped Reeces mini cups…saved me the unwrapping and chopping making this a ridiculously easy recipe! 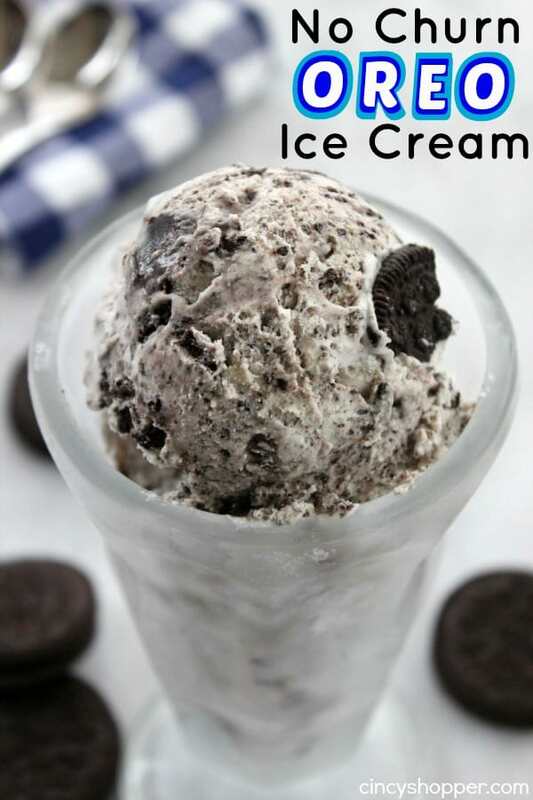 Thank you for this brilliant ice cream recipe! 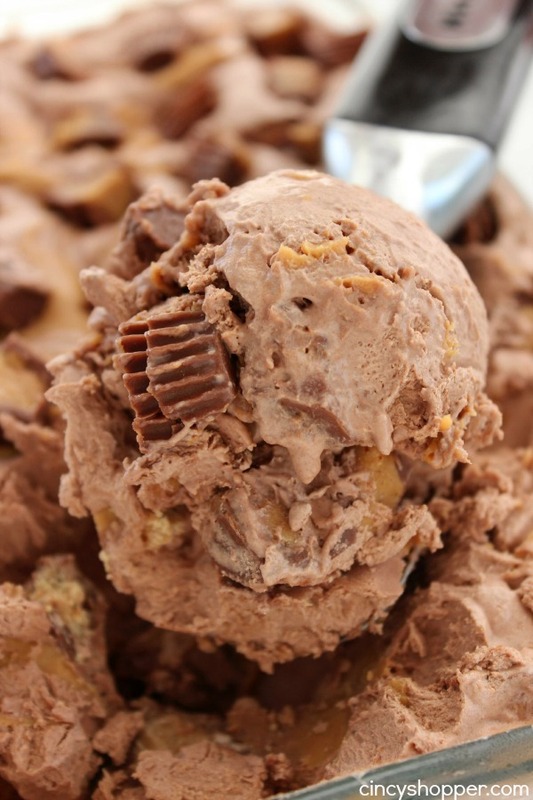 Chocolate and peanut butter is such a classic flavor combo – it’s even better when it’s combined in ice cream! Yum! Thanks for linking up with Merry Monday this week! Yum! 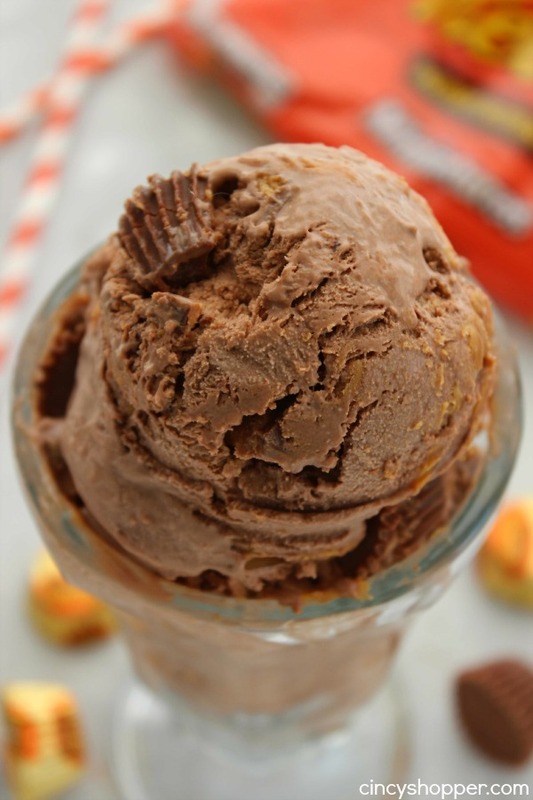 Reese’s peanut butter cups are one of my favorite candies, so I know I’m going to love this. Will be featuring your recipe in this week’s Merry Monday party round-up. Thanks for sharing your recipe.